Enjoy nature and culture at its best! 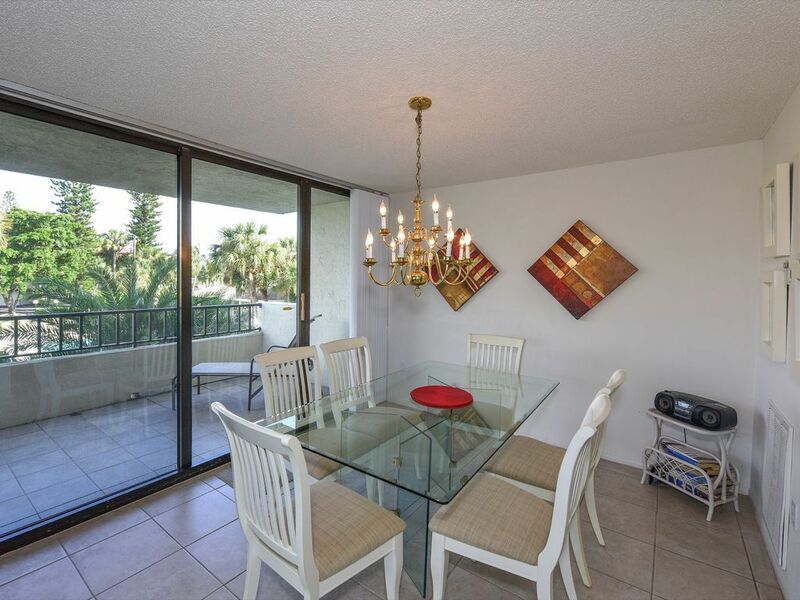 Light-filled, two bedrooms, two bath, corner unit condo has glass sliders that open to two large furnished balconies. 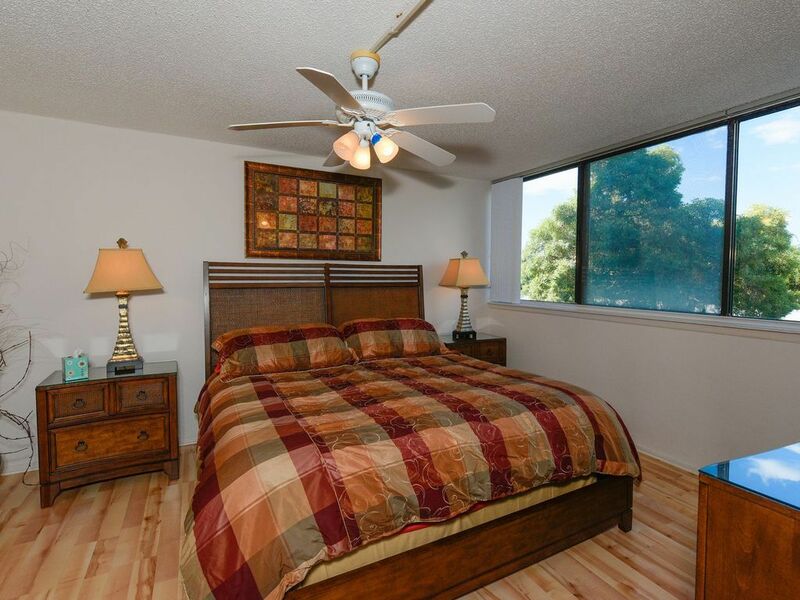 The master bedroom features king bed, and walk-in closet. 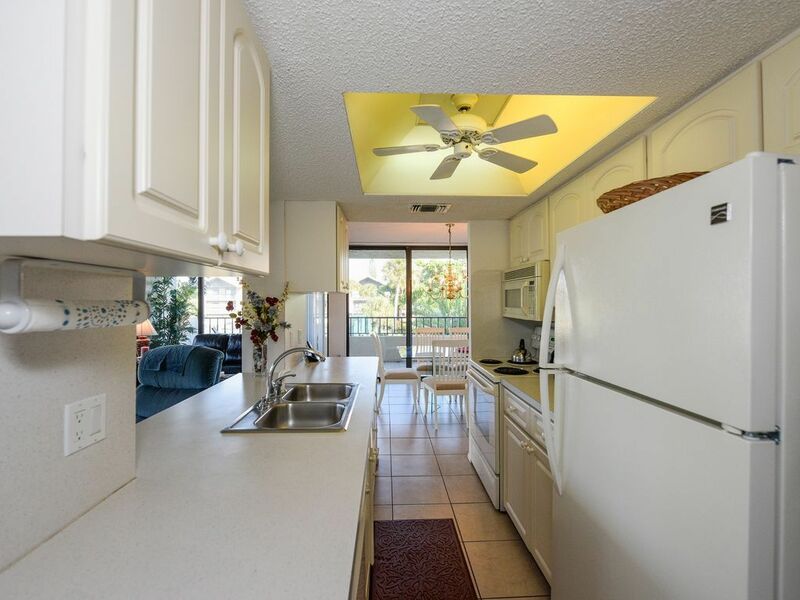 High-speed wireless Internet access, along with US and Canadian land line phone coverage. 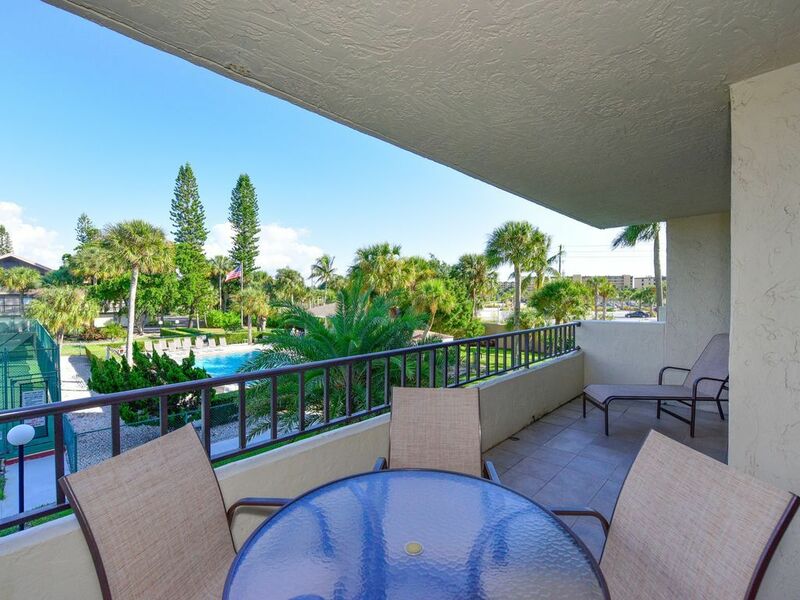 You will be just steps from Siesta Beach - rated #1 in America. 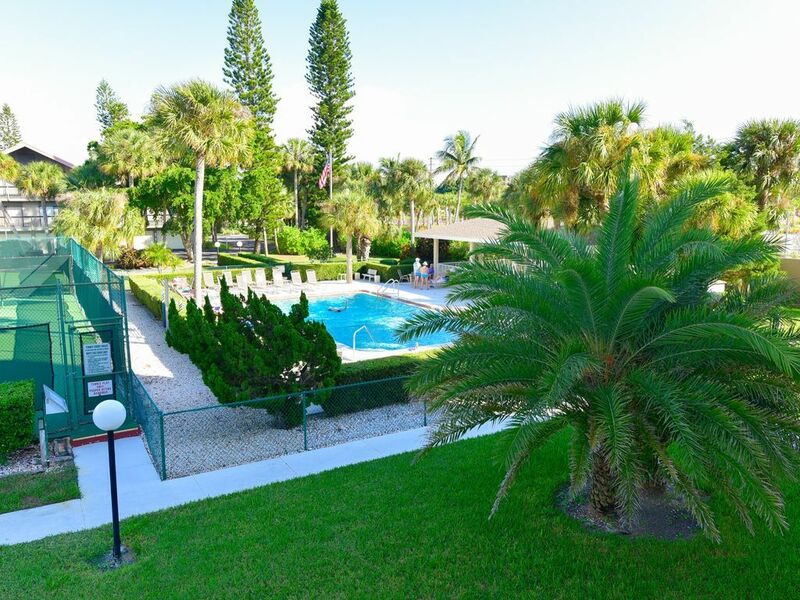 Resort-style living in a beautifully maintained building with all amenities: tennis courts, heated swimming pool, large covered picnic pavilion with grill. 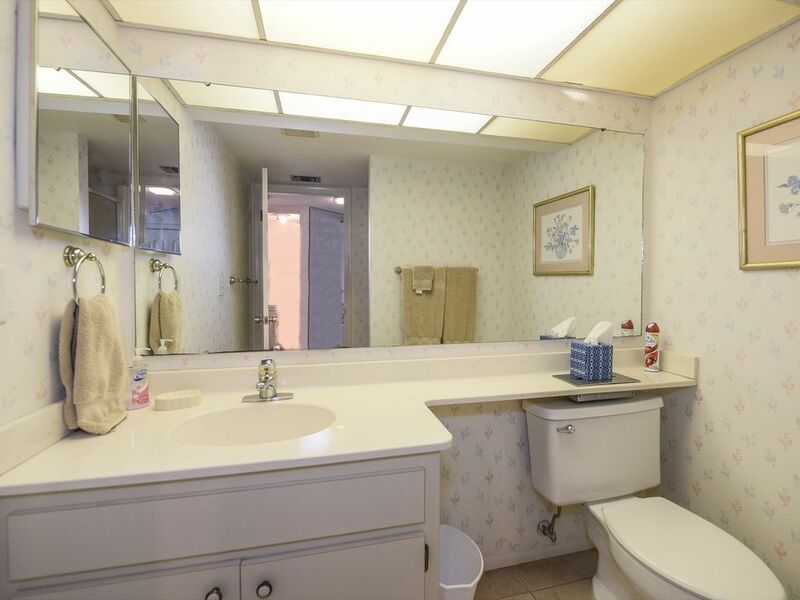 Includes full kitchen, laundry room, living room, dining area and foyer. 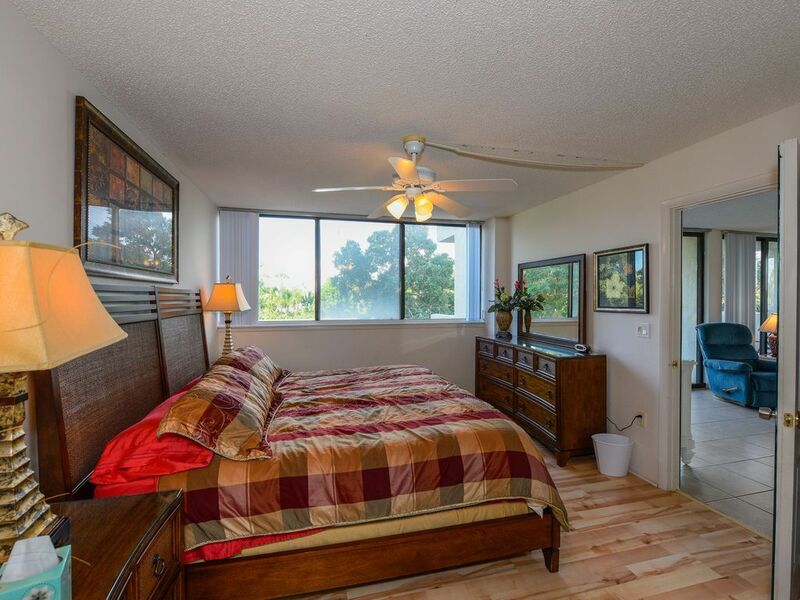 Includes A/C, two (HD in living room) TV, stereo, linens and everything you need for making yourself at home. Feb and March are available by the month only. Loved the condo, owner, and location. Walked to the beach. All was clean and comfortable. Would definitely return. This was an awesome condo! 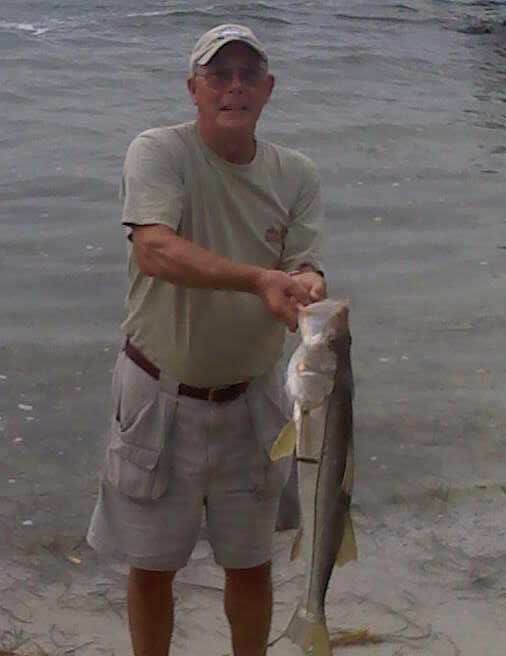 Steve was great to work with and his condo was perfect for my family of four. There were beach toys, chairs and umbrella for the beach, tennis rackets and balls. 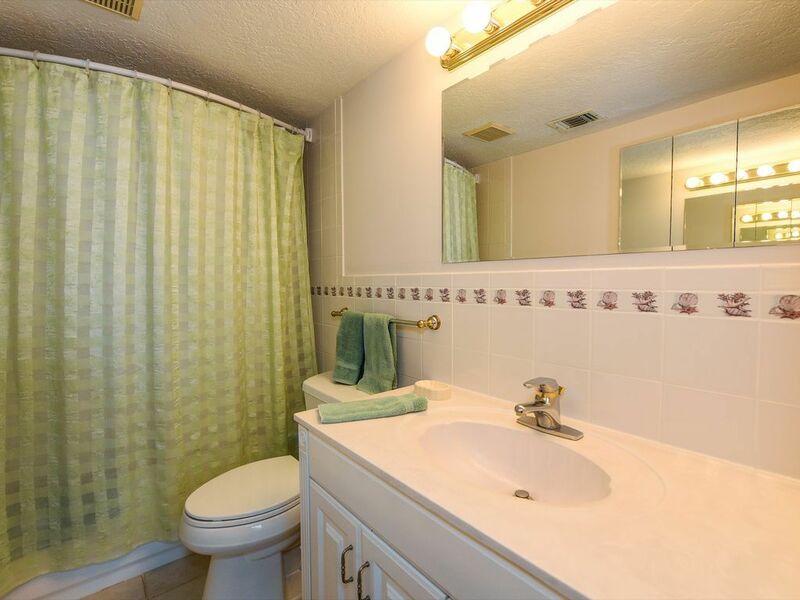 The condo is also stocked with plenty of extra linens/towels. Thank you for having us, Steve! I have a family of 5 and we all fit comfortably with room for alone time! This vacation home and location is my new favorite for sure! It is quiet but also just a short drive away from the hustle & bustle and night life! We will be making this an annual trip. The home had so many amenities. It way very clean and well maintained. The AC worked great and that was a MUST since the temps reached over 100 degrees during out stay in late June. I would highly recommend this home for your next beach vacation!!! Property is well equipped and perfect for our week. Quiet. Nice. Walk across street to beach. We had 5 adults which fit well with the use of pull out coach. Beds where very comfy. 1 st floor which was really nice to get to everywhere. 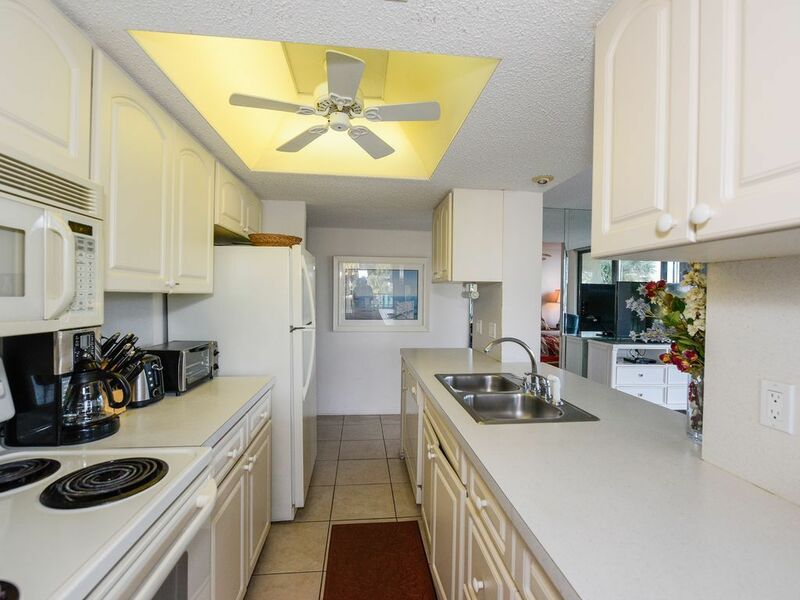 Well equipped kitchen as well as beach stuff including towels. We enjoyed our stay very much! Perfect weather all week ! Great Stay on Siesta Key! 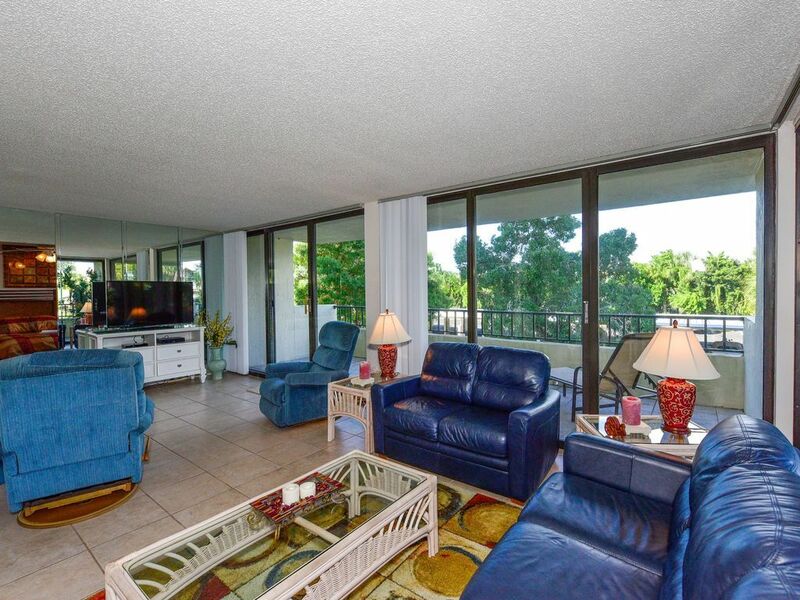 The condo was in a great location directly across the street from the public beach. 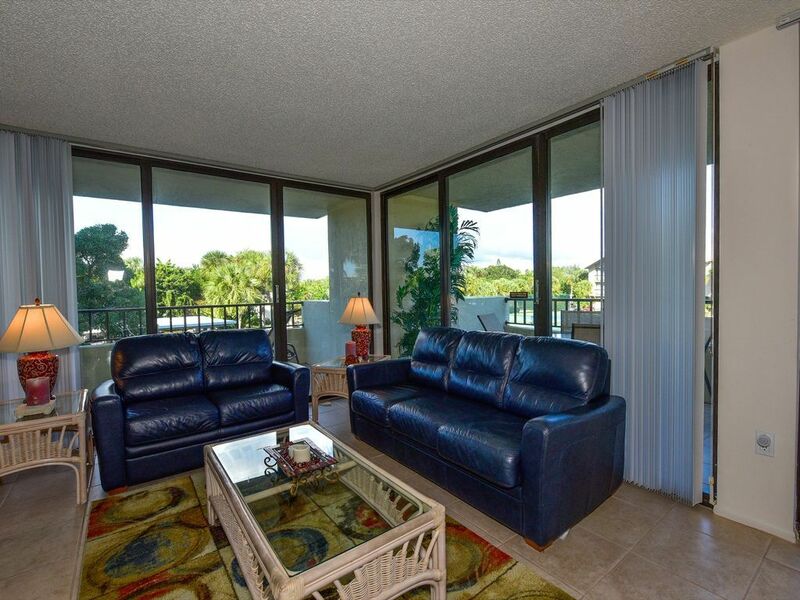 It was a quiet spot (not facing the main road) with a great view of the tennis courts and pool. The condo suited our family of five perfectly. Plenty of room and the kitchen was well stocked to meet our needs of cooking dinners, breakfasts, etc. The tennis courts and pool are well kept and clean. 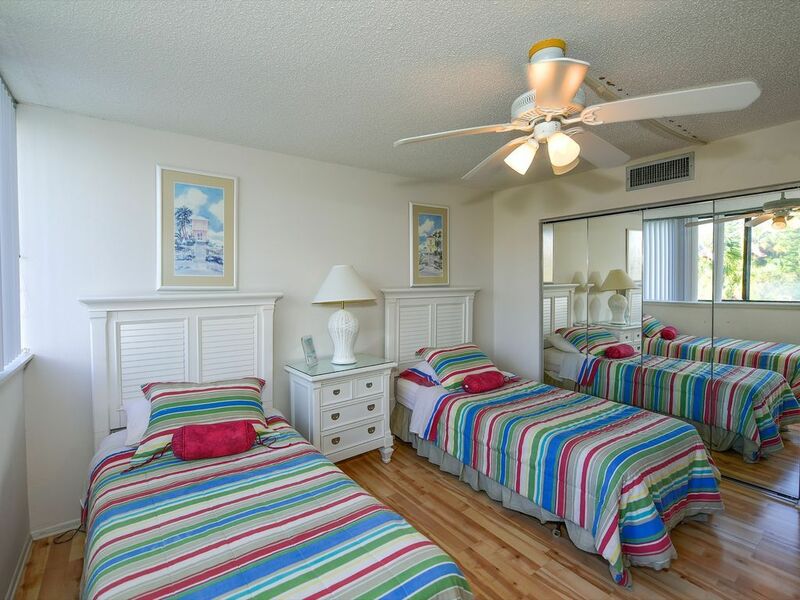 The owner provides beach chairs and beach towels and sheets. 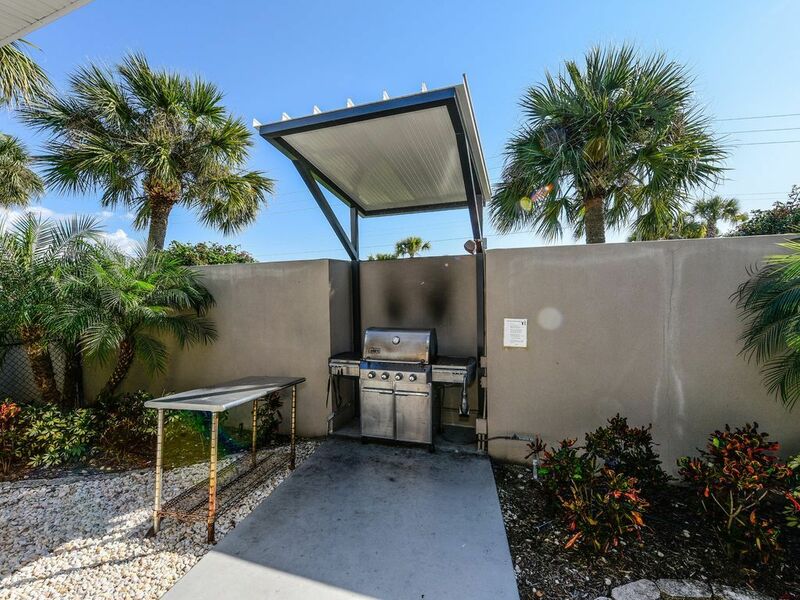 For a family of five, a couple more beach chairs would have been nice and newer beach towels would have been an added bonus but other than that, our stay was wonderful and we would recommend this unit as one you should consider for an enjoyable stay in Siesta Key! This was our first time in Siesta and I have to say it won't be our last! The area is absolutely beautiful! The condo was right across from the beach area which was perfect because the parking lot stays packed so we never had to worry about finding a spot. The condo was beautiful and the perfect size for our group of 7 and had everything we needed. The pool was relaxing and the grill came in handy a few times and we never had to wait to use it. 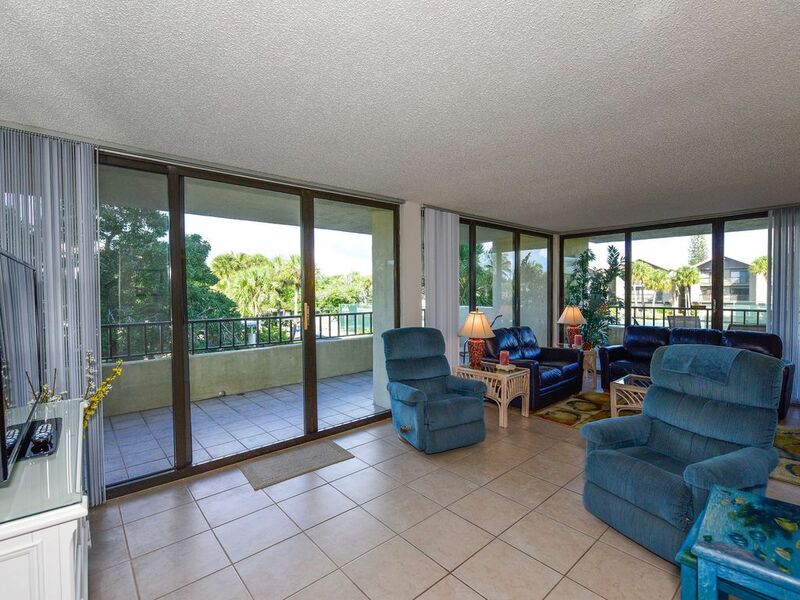 The condo was very relaxing and we never had any issues with neighbors being loud everyone was extremely nice there. we plan on trying to rent this spot again next year. I also recommend grabbing a (free) book at one of the gas stations that has a list of the top 10 things to do while there and also they have maps in front of the elevators at the condo which came in handy! Make sure you visit Turtle beach if you like sea shells! Thanks again Steve! We have stayed at this first floor unit on several occasions. We are never disappointed and it is always great to work with the owner. 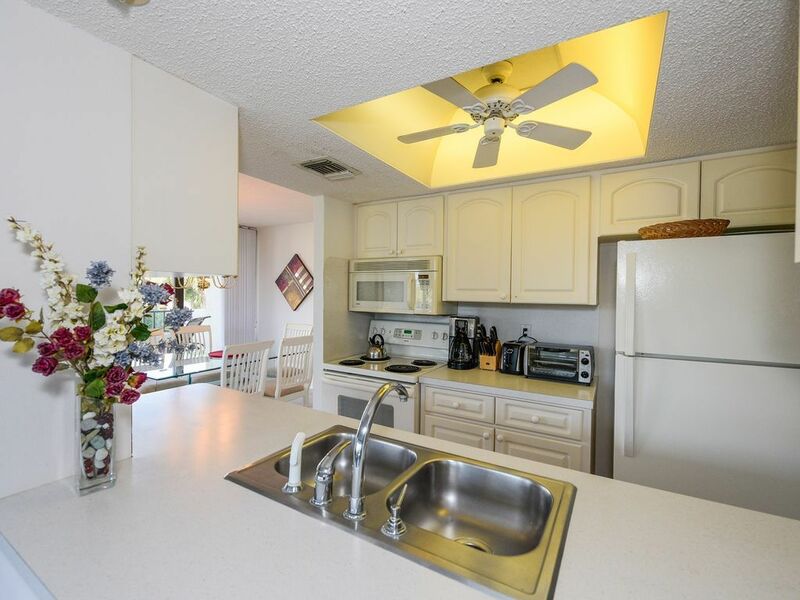 This is a very clean condo. The kitchen cupboards are full of everything you need during your stay. 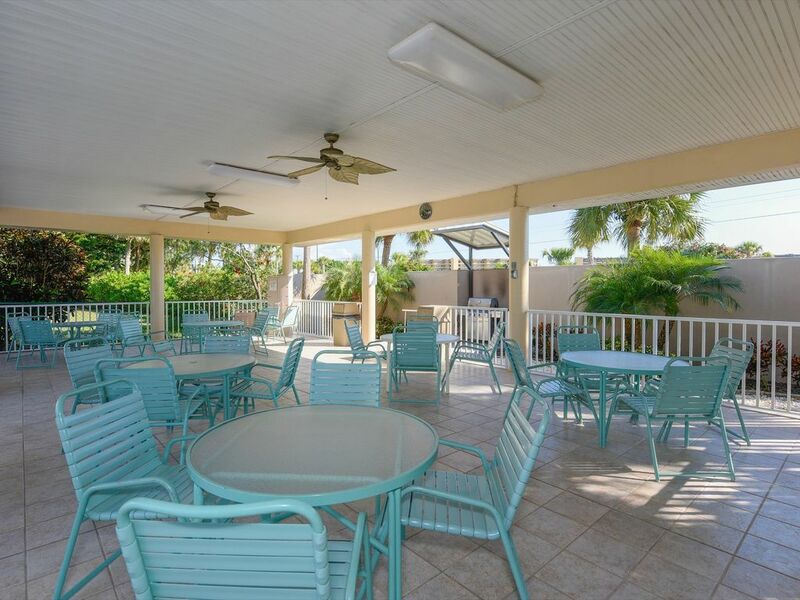 There are "toys" to use at the beautiful pool located right outside this unit or to take to the amazing Siesta Key Beach, which is a short walk across the street and through the beach parking lot. 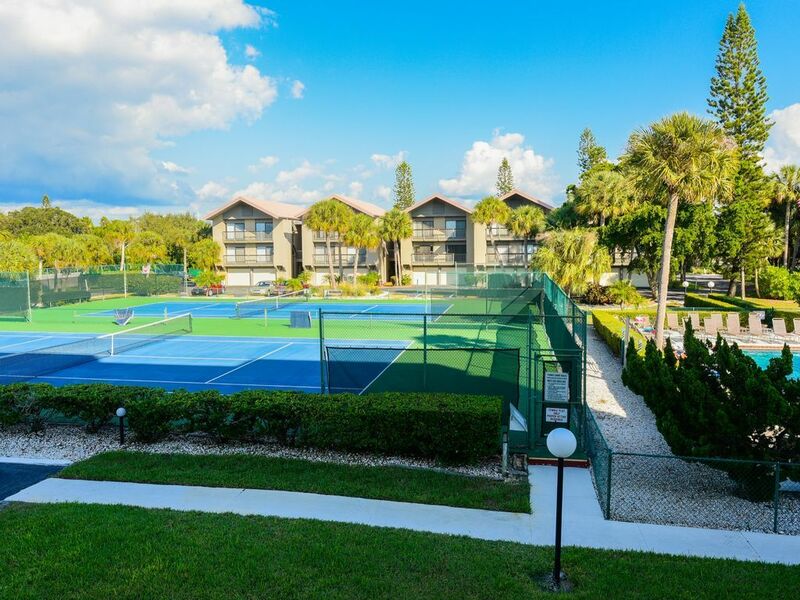 The tennis courts are also right outside this unit (but, we are too lazy to use it). This is always one of our favorite vacations. 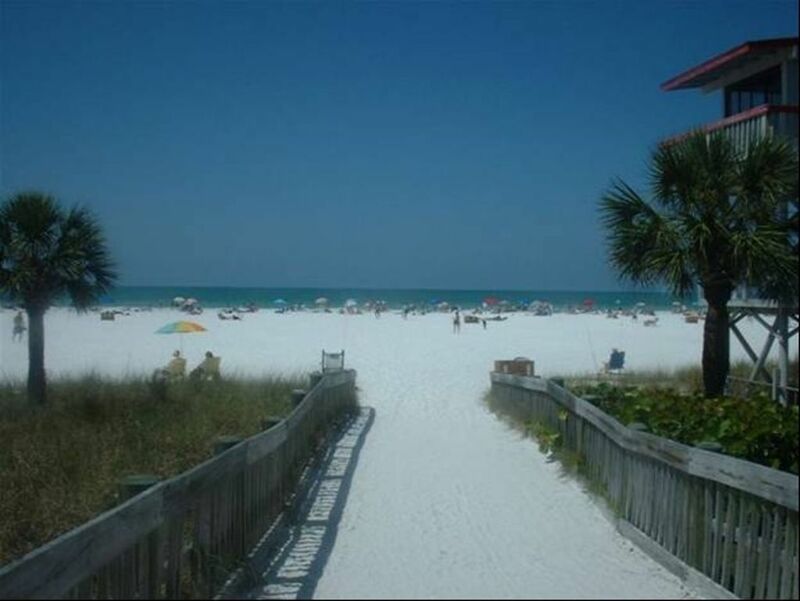 Can't wait for our next Siesta Key visit so we can stay here again! 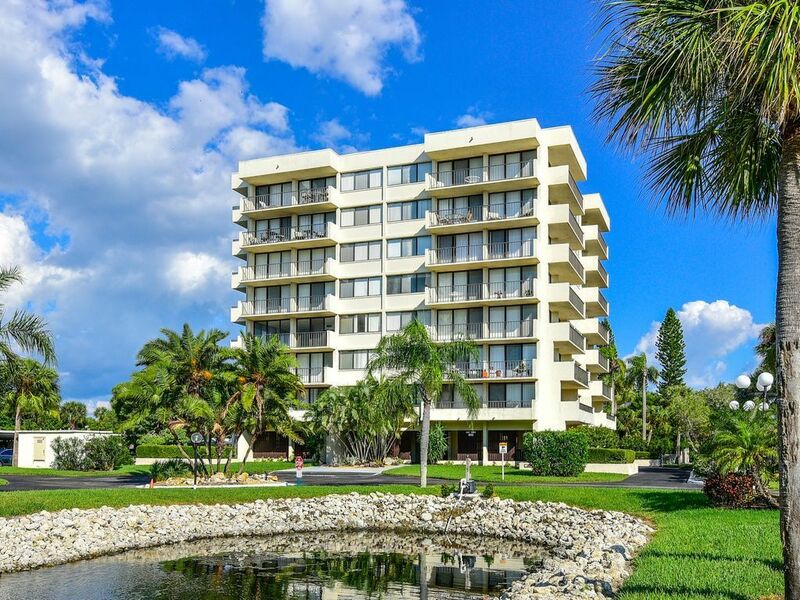 Perfect location for Florida getaway! The location was perfect for us. 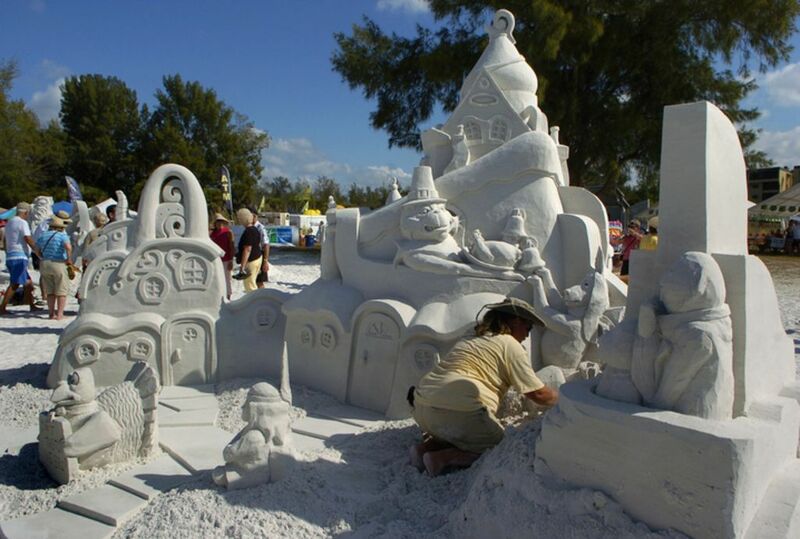 Siesta Key Beach is incomparable - softest sand and beautiful water. It was a short walk across the street which was perfect for a vacation with my 5 year old. 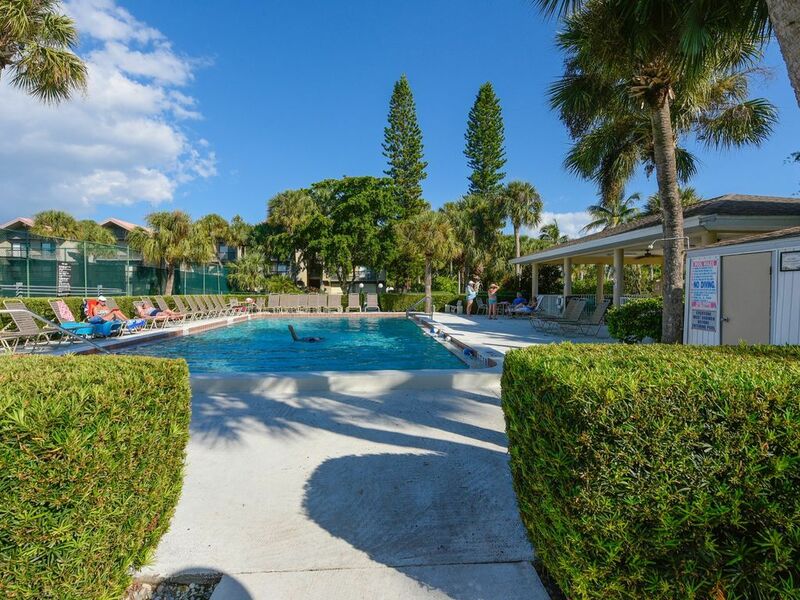 The pool was wonderful and the accommodations were clean, stocked and spacious. We cooked dinner several times, packed our lunches for the beach, using the cooler, the chairs and beach umbrella supplied by Steve! Our weather was a bit rainy but it's a short drive to the Mote Aquarium which was very cool. We also drove to Busch Gardens for a day and even took my daughter to Disney for a day! 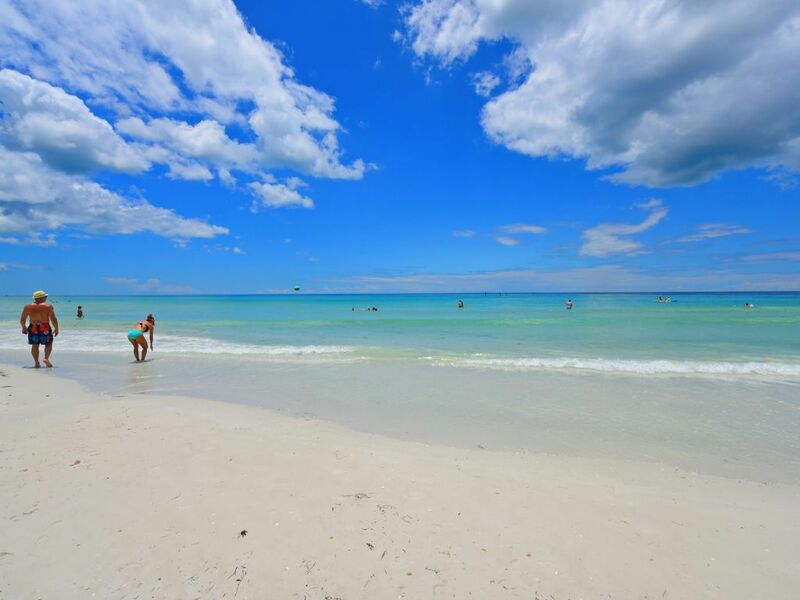 We have so many great memories of our week in Siesta Key and we'll be back! Thanks so much, Steve! Notre famille de 4 a passé une semaine dans ce condo situé à 3-4 minutes de marche de la grande plage publique de Siesta Key. Vous n'avez seulement qu'à traverser la rue. 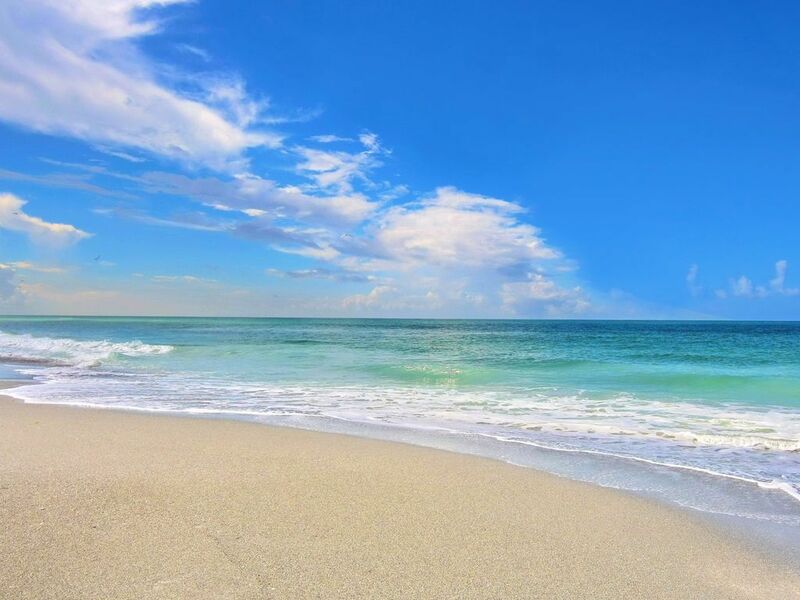 Nous avons visité d'autres plages en Floride (Clearwater, Boca Raton, Delray Beach, Hollywood) et celle-ci est notre préférée jusqu'à maintenant. Le condo est situé au premier étage dans un immeuble tranquille. Il est très propre et est équipé de tout ce que vous aurez besoin pour cuisiner, aller à la plage ou à la piscine. Il est aussi à 5 minutes en voiture d'un Publix. Nous avons apprécié le service de taxi gratuit offert pour se rendre au village. Très efficace pour aller y souper et revenir. Possible aussi de se rendre à la marche. Le village est très animé et plusieurs bons restaurants s'y trouvent. Très facile de communiquer avec le propriétaire. Notre dépôt nous a été retourné le lendemain de notre départ. Je n'hésiterais pas à retourner à cet endroit et le recommande fortement. 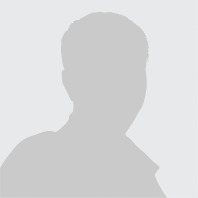 Steve Miller +19414511137 Show Phone No.